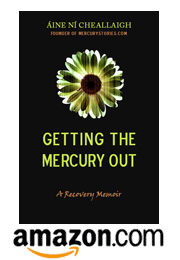 Write the Great American Novel–About Mercury Poisoning! The excitement is building. Just two more weeks until November starts. Of course in this house, November isn’t called November. It’s called NaNo. That’s short for NaNoWriMo–National Novel Writing Month. NaNoWriMo is the brainchild of Chris Baty, a man who in 1999 got together with 20 friends and undertook the daring challenge of each writing a complete novel from scratch in a mere 30 days. They sat in coffeehouses, consuming startling amounts of caffeine, egging each other on to reach their daily word count goals. Is it possible to write 2,000 words in a couple of hours? Can something written at that speed possibly be any good, or is it guaranteed to be rubbish? The official NaNoWriMo answer to this question is: Shut up and keep writing. Chris Baty and (some of) his friends completed their novels that first month (a complete novel was defined as 50,000 words) and he went on to found NaNoWriMo.org, a stellar beacon of support, chat rooms and amusing stickers that help the thousands of people who undertake the challenge every November. I’ve done NaNo three times now. Have any of my speed manuscripts turned out any good? Well, Getting the Mercury Out is pretty popular, so I must have done something right. Here’s the thing. Books are written in two stages. The first is where you turn off your inner editor, and write, write, write! You get everything onto the page and don’t question or censor yourself. You just amass as many scenes, paragraphs and words as possible, doing your best to capture your story without worrying about niggling details like spelling, grammar, or whether your character has a consistent number of heads from one scene to the next. Stage two is when you turn on that ruthless editor again. You become a human scissors. You cut, cut, cut, prune and shape until your shaggy story turns into a thing of beauty. They even have a month dedicated to this process. It’s called NaNoEdMo–National Novel Editing Month. Last year, I used NaNoWriMo and NaNoEdMo to create Getting the Mercury Out. This year, I’m undertaking something even more ambitious. I’m going to write a novel. That’s right. It has to be done. I’m going to write the Great American Novel About Mercury Poisoning. You can follow my progress on Twitter, I’ll be posting my word count tally there, I’m AineIsAWriter. And that’s not all you can do. You can take up this challenge too. That’s right. I’m inviting you to sign up at NaNoWriMo.org and set yourself the goal of writing the story that you were meant to write. It can be memoir, it can be fiction, it can be anything. You’ll never know what comes out of you until you try. Are you tempted? Take a look at the awesome book by Chris Baty about NaNo called No Plot No Problem, where he lays out the process in all its staggering simplicity. Check out the NaNoWriMo.org website. Sign up and friend me, I’m Aine74. And if this seems like way too much of a challenge, but you’d still like to write, why not try something much shorter? The folks at MercuryExposure.info have put out a call to collect testimonials from people who have been injured by mercury. Check out their stories and add your voice to the growing number of people who are saying no to mercury.